Blue skies, the earthen coloured red soil of the Australian Outback, sunsets to dream of and three weeks in the Corner Country was an opportunity far too good to pass up. With my customised touring vehicle loaded with supplies and TVAN Firetail camper trailer in tow I headed to the far west corner of New South Wales – “The Corner Country”. 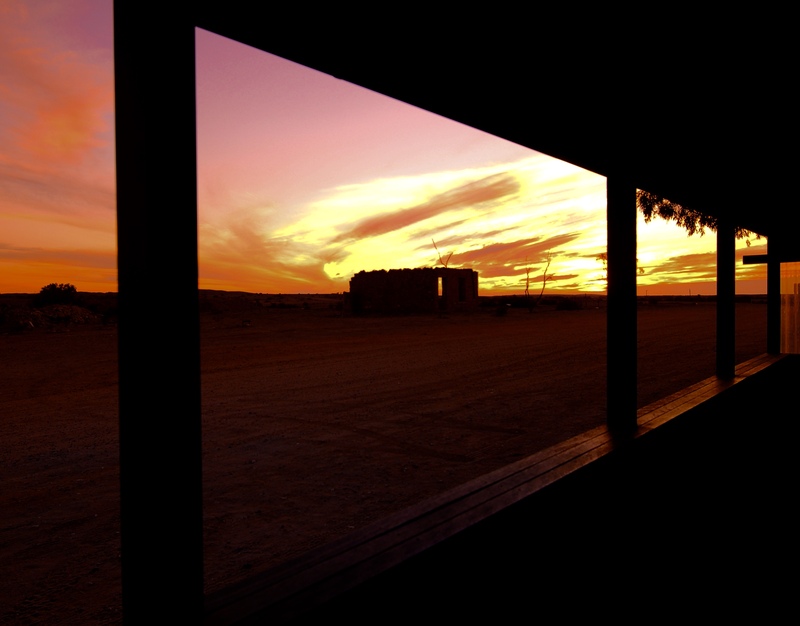 After two days and 1,300 kilometres of travel along bitumen and dirt roads I arrived at Milparinka, a ghost town just to the south of Tibooburra, the town that is often the hottest place in the state during our long summer months. Now it would be easy to miss this gem of a town as you make your way north to Tibooburra, or south to Broken Hill along the Silver City Highway as it is off the main highway. But a detour to Milparinka, whose history is steeped in a gold discovery, is well worth the effort. The area’s first recorded exposure to European’s was in 1845 when Captain Charles Sturt mounted his exploration of the interior expedition in search of an inland sea. He found anything but a vast ocean of water, but his journey into the region opened the way for pastoralists’ who began arriving from the 1860’s onwards. 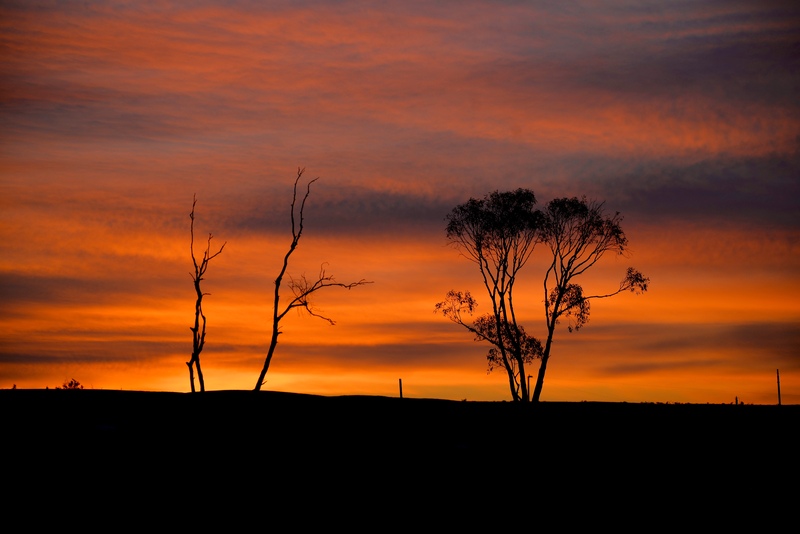 It was near to the current township of Milparinka that a station hand, John Thompson, discovered a couple of nuggets of gold whilst herding sheep on Mt Poole Station in 1880. This discovery led to a “gold rush” with hopeful miners and prospectors making an arduous journey over an unforgiving land. They had no idea of just how harsh this environment was, and that water and eventually provisions were in short supply. 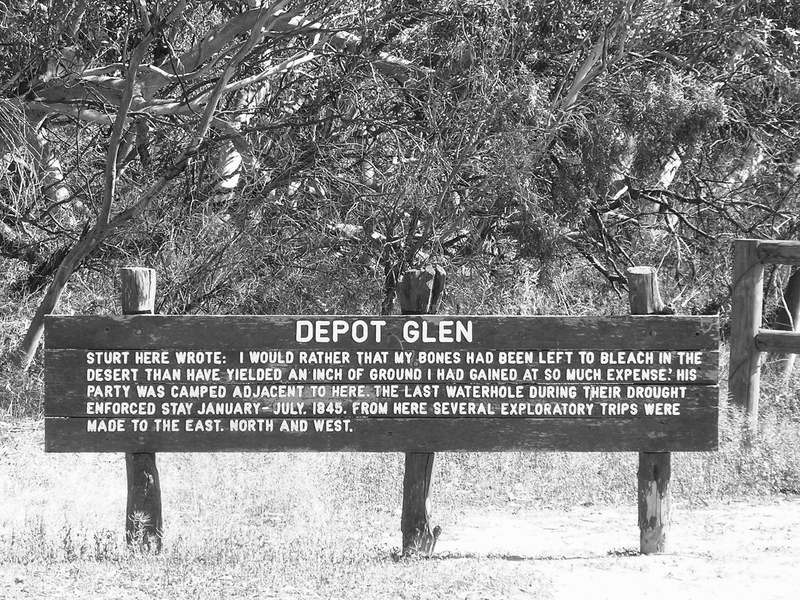 As was the case on Australia’s early goldfields, many perished from disease; some were successful, but most left with little more than the shirts on their back. Often, those that were most successful were the business’s that thrived on supporting the miners, especially the “sly grog shops” and “pubs”. And it is worth noting, in 1882 water was in such scarce supply that a whiskey and water cost substantially more than a whiskey “straight-up” – such was the value of that most basic of precious commodities, water…! The township of Milparinka was first surveyed in 1881 and finally chartered in 1883, but its population peaked around this time as the “gold rush” was short-lived. However, the town continued to support a core group of residents and there were many sand stone buildings constructed from stone quarried locally. Amongst these was the Police Barracks built in 1884 and later; the James Barnett designed Courthouse in 1896. James Barnett, the Architect for the Colony of New South Wales, designed many buildings, including the magnificent Post Office that stands proudly in Sydney’s Martin Place today. 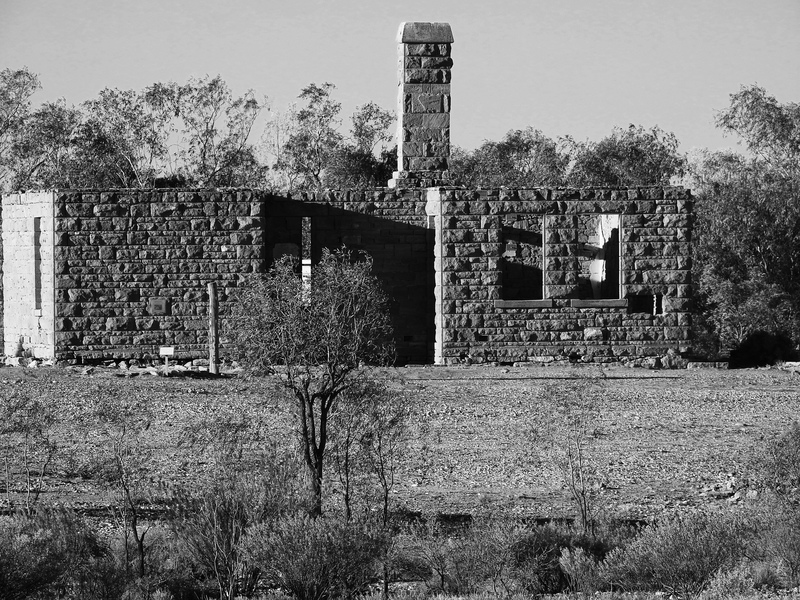 By the 1930’s the police administration and court functions had moved north to the township of Tibooburra, or “The Granites” as it was referred to at the time and many of the old buildings fell into disrepair, some crumbling back to the earth either through lack of maintenance or vandalism. But a community initiative in the 1980’s halted the destruction of the Courthouse and surrounding buildings, but it wasn’t until 2003 that the Milparinka Heritage and Tourism Association brought them back to life and re-opened the Courthouse as the local Historical Centre. The Association is actively looking to preserve the couple of remaining buildings that are in disrepair and in early 2018 purchased the old Post Office with a view to bringing it “back to life”. Our drive to Tibooburra was through some spectacular countryside, remote and vast, and we crossed through the “dog-proof” fence at Warri Gate, just to the north of the Sturt National Park. Before arriving at the dog-fence we passed Epsilon Station a working organic cattle property set amongst the sand dunes of the Simpson Strzelecki Sand Dunes and not far from the country first explored by Captain Charles Sturt. 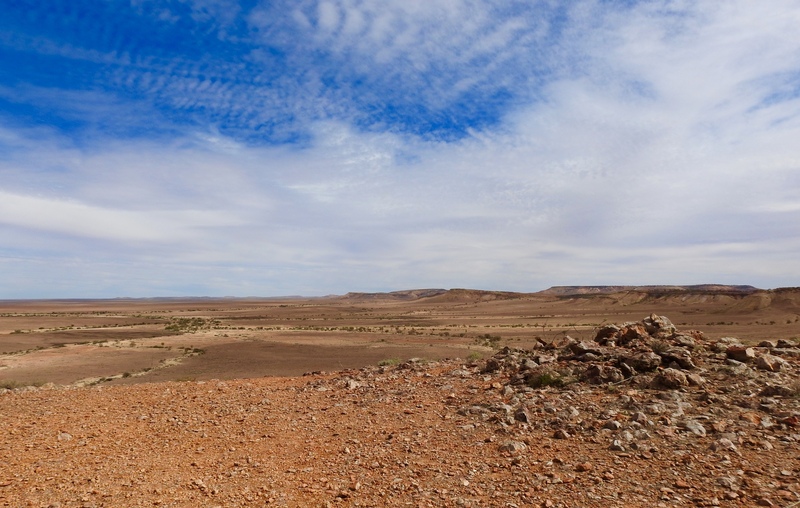 Numerous explorers’ have visited the Tibooburra region over the years, most notably Charles Sturt as he went in search of an inland sea. 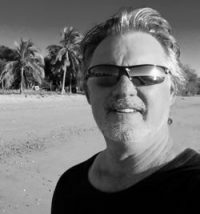 And it has had its fair share of modern day visitors, including Clifton Pugh, a famous Australian artist, who actually painted a mural on the walls of he Family Hotel; in fact he even owned it at one time. We are staying nearby to the hotel and will spend some time visiting the museum in town that has a wealth of information on Australia’s original inhabitants.